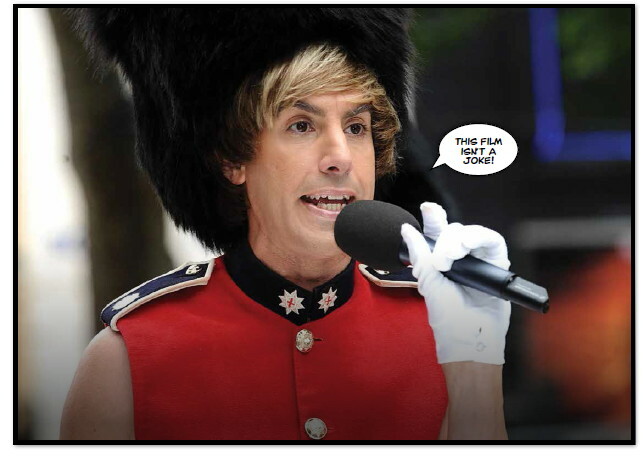 Sacha Baron Cohen was born in London on 13th October 1971. He was the youngest of 3 sons in an Orthodox Jewish family. He studied at schools near London. Later, he went to Cambridge University to read history. While he was at university, he joined the Cambridge University Amateur Dramatic Club. After leaving university, he worked for a time as a male fashion model, appearing in several magazines. In the early 1990s, he had a job hosting a weekly programme on cable television. Later, he appeared on The Eleven O’Clock Show on Channel 4. Good news! The latest issue of Hot English (185 – the October issue) is out now! Learn over 300 useful words and expressions and improve your listening skills with Learn Hot English! 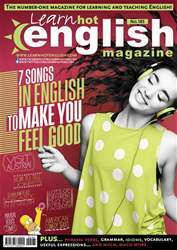 This month: 7 songs in English to make you feel good! Find out how they can motivate you, and learn lots of useful English at the same time! Plus, 12 useful words for talking about the office, 10 useful words for talking about travel, useful words for talking about your holidays, 10 words to use in a meeting, “time” idioms, “time” phrasal verbs... plus: • Marketing – toilet paper marketing. • Life – retirement plans. • Quiz – have you got a sense of humour? • Humour – types of humour. • Speaking – how to tell a joke. • Food – what people have for dinner. • TV – US comedy series. • Travel – visit Austria. • Film review – Brüno. • Music – Michael Jackson. • Slang – Dictionary of Slang. • History – What happened in 1994? • Education – teaching children about stocks. • Internet – words you shouldn’t use. • Language – how to be sarcastic. AND LOTS, LOTS MORE! By reading and listening to all this great content, you'll improve your English reading and listening skills and learn up to 300 useful words or expressions. Plus, you'll get a better job and pass English-language exams more easily. Guaranteed! Have you got a sense of humour?